Dallas Child Injury Attorney | Personal Injury | Juan Hernandez Law P.C. Children are our most precious treasure, and they possess the promise and guarantee of the future. Our children will create our societal future because they are shaped by what we do or fail as responsible adults. Unfortunately, our children are vulnerable. Our homes can be one of the riskiest places, particularly for children. Drowning is the leading cause of injury-related death among children ages 1 to 4 and the third leading cause of unintentional injury-related death among children 19 and under. (Safekids.org fact sheet.) Even small quantities of water can cause children to drown. Constant supervision around water, including bathtubs and toilets, is needed. Using a fence to surround a backyard pool, wearing personal flotation devices (PFD), and swimming lessons are important steps to prevent drowning in swimming pools. Unintentional poisoning is another household risk. In 2010, more than 128,000 children ages 19 and under were treated in emergency departments for unintentional poisoning-related incidents. 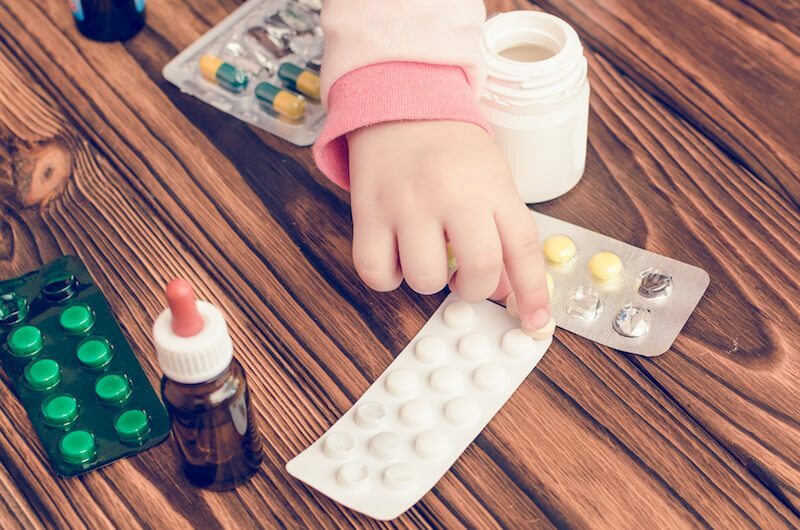 The most common potential poisoning exposures for children are personal care products and cosmetics, cleaning materials, medications, and plants. Children are also at risk for lead poisoning, particularly from leaded paint in older housing. Residential house fires also pose a danger to children. The majority of fire deaths occur in the home. In 2013, 365 children ages 19 and under died from fires or burns. 322 (88%) of those deaths were in residential home fires. Ensure that smoke detectors are present in the home on every floor and that they are properly installed and functioning. Toddlers are at particular risk for pedestrian injuries in driveways while a car is backing up, while older children have a higher frequency of pedestrian injury at high traffic areas and intersections. Check carefully around a vehicle before backing out of a driveway, and do not let children play near cars or cross the street unsupervised. Children are also at risk while riding in motor vehicles, and even though statistics are showing a drop in fatalities to children in car accidents, proper restraint is crucial to protect a child in the event of a crash. Children younger than 18 years old should wear a helmet when riding motorized vehicles on public roads. Additionally, protective equipment should be used while riding all-terrain vehicles (ATVs), snowmobiles, and horses; proper education and use of age-appropriate size of the vehicle can help reduce injuries. Bicycle Accidents: Every two minutes, a child is treated in an emergency department for an unintentional cycle-related injury. Team Sports Accidents: A 2012 survey found that one in three children who play a team sport are injured seriously enough to miss practice or games. Falls: Children are prone to falls and severe injuries, including serious head injuries, can be associated with a fall. Suffocation: Small children can become stuck in positions that compromise their breathing and they may not have the strength or coordination to free themselves. Burns: To prevent scalding, keep the water temperature below 120 degrees Fahrenheit and supervise children carefully while in the kitchen. If your child has suffered an injury let the experienced legal team at Juan Hernandez Law assist you. Often children do not realize the extent of their injuries, and the injury needs to be properly diagnosed. We have experience handling a wide range of injuries suffered by children and can help your child get to the right specialists for their specific medical needs and care. Contact Juan Hernandez Law P.C. immediately for a free case evaluation.